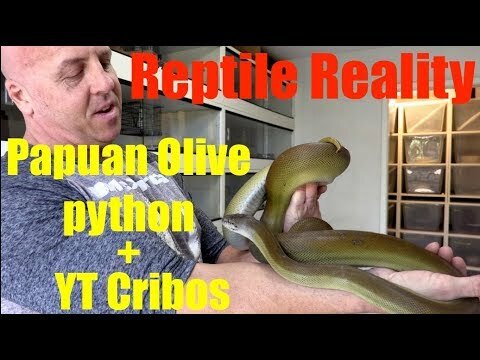 Ball-Pythons.net - Rage Beard Reptiles shares photos of their beautiful Papuan olive pythons. Morelia Forums - A species not seen too often, this outstanding Papuan olive python poses for some photos. Ball-Pythons.net - A beautiful Papuan python poses for a few nice headshots while outside on a sunny day. Morelia Forums - Check out this cute and cool looking little Papuan python. Captive Bred Reptile Forums UK - An awesome Apodora papuana and two pretty patternless Southern scrub pythons pose for the camera.